If you have been following this blog for a while now, you know that I LOVE all things S'mores. I have made S'mores Bars, S'mores Cookies Pops, S'mores Cookies, S'mores Scones, and S'mores Ice Cream and them some. This S'mores Cracker Candy was no exception to the deliciousness. I found them on a webtsite called Bakergirl and I am so glad I found them. These bars are addictive and are so easy to make. I should really stop writing so I can get back in the kitchen to make more. In a medium saucepan, melt butter and brown sugar over medium heat, stirring constantly, until smooth and mixture comes just to a boil (about 4-6 minutes). Remove from heat and pour evenly over crackers. Bake 5 to 6 minutes, or until bubbly. 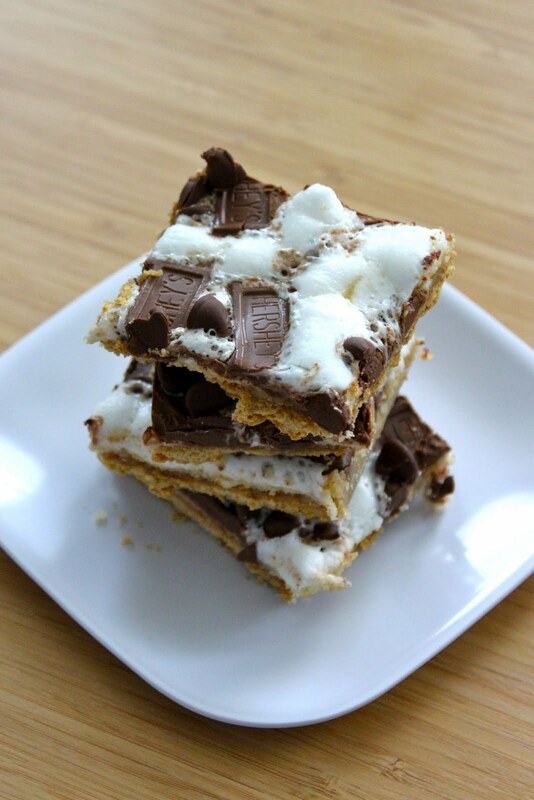 Remove pan from oven and immediately sprinkle mini marshmallows, chocolate bar pieces, and chocolate chips over the crackers. 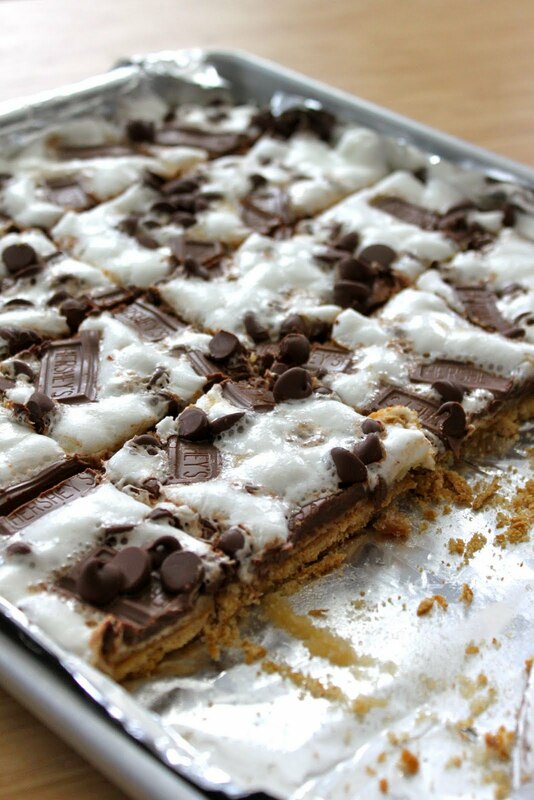 Return pan to oven for another 2-3 minutes, or until marshmallows begin to soften and puff up. p.s. Happy Birthday Zack! I love you! !